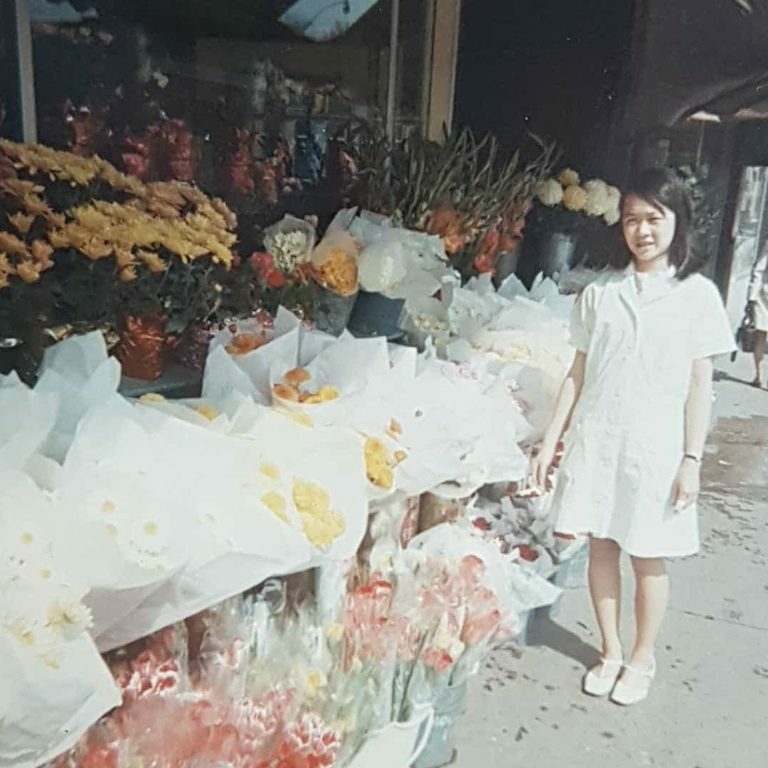 The Jong Young Flower Market backstory is one that goes back a long way! When it was founded as a grocery store in 1952, the world was a very different place. It wasn’t until 1955 that the store started carrying flowers, when it became a cash and carry business, but from that point onwards it became a staple of Toronto’s floral scene. Now helmed by Jasmine, daughter of previous owner Roy, and granddaughter of the store’s founder, the store currently employs 3 full-time staff, and 3 part-timers. Among the full-timers is Jasmine’s daughter, Sarah Melissa, ensuring that the business remains very much a family affair! That family feeling extends much further than bloodlines, though. Jong Young’s customers are always welcomed with a friendly smile by staff who are ever willing to go the extra mile to ensure they get the best possible service, and products, for a fair price. The store carries a wide range of cut and potted flowers and plants year-round, with Jasmine hand-picking the items available for sale. Included in the products and services offered at Jong Young Flower Market are wedding boutonnieres, bouquets, centrepieces and corsages, tasteful funeral arrangements, flowers and arrangements for special occasions including birthdays, anniversaries, engagements, and other life milestones, and event centrepieces. Originally a fruit, vegetable, and grocery store, Jong Young opened its doors in 1952. Named after its founder, and current owner Jasmine’s grandfather, the store’s opening set the wheels in motion for decades of proud service to the local community. In 1955, Jasmine’s father Roy Young bought the business from his father, and soon afterwards the store began selling a small selection of flowers – mainly roses, mums, frescia and carnations. More than 35 years after Roy took over the store (he had since sold it to a family friend), it was time for his daughter to take charge. Jasmine bought the business in 1991, by which time the store offered a much more varied selection of flowers from around the world. Following almost 50 years at its original location, Jong Young made the move a few doors south, to 128 Avenue Road in 2000. With the launch of this very website, and the accompanying online store, in February 2018, Jong Young made its move into a new, digital world, guided by Jasmine’s daughter Sarah. The new platform will allow Jong Young to continue its long standing tradition of providing outstanding products and services to the Greater Toronto Area for many more years to come! Jong Young Flower Market’s products are sourced from growers at the Ontario food terminal, and Ontario Flower Growers Coop, where Jasmine hand picks only the best flowers and materials 3-4 times per week. Although we favour buying locally, we do also import products from Holland, Ecuador, Colombia, Africa, Thailand, Italy, Costa Rica and the USA when they are unavailable locally. You can see for yourself by checking us out in person at 128 Avenue Road, Toronto, or taking a look at our online store! Mon-Wed: 8 a.m. – 6:30 p.m.
Thurs-Sat: 8 a.m. – 7 p.m.
Feel free to call ahead of your visit on (416) 922-4421!